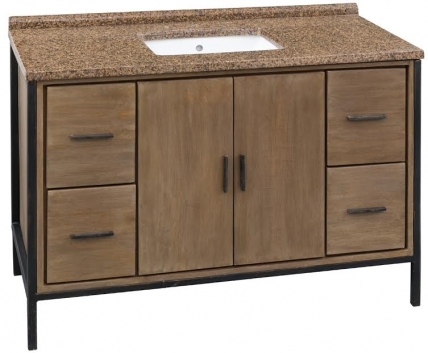 This single sink vanity brings a lot to the room for functionality as well as style. 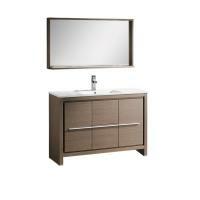 The clean lines of the design give the piece a classic look that is nicely enhanced by the rustic finish of the wood material. 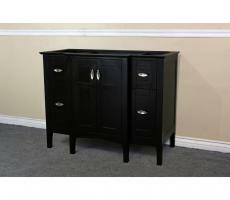 A double door cabinet and four drawers bring ample storage space which is always welcomed in the bathroom. 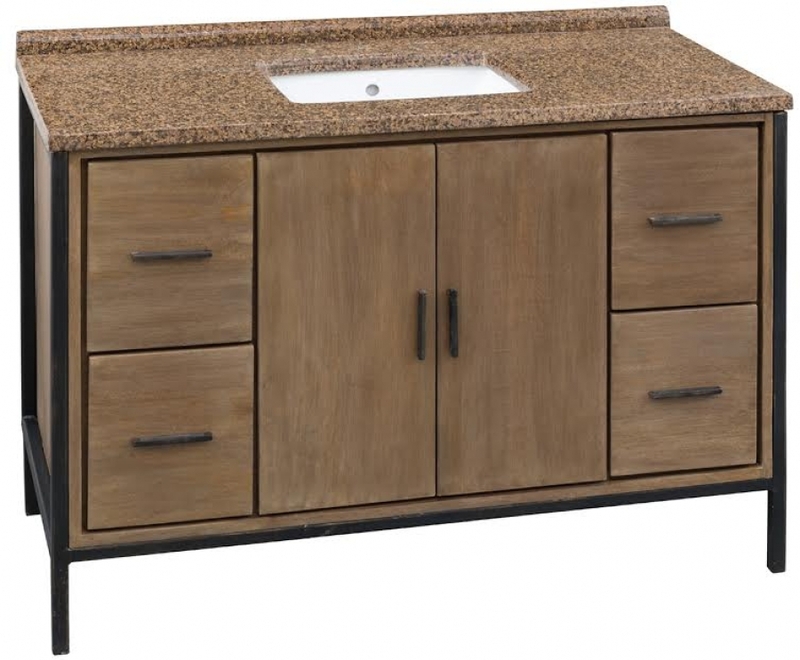 The brown granite counter top surrounds a white ceramic under mount sink. 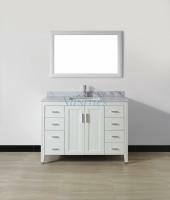 This vanity will go great with many types of room décor and will look great and bring usefulness to the space for many years to come.